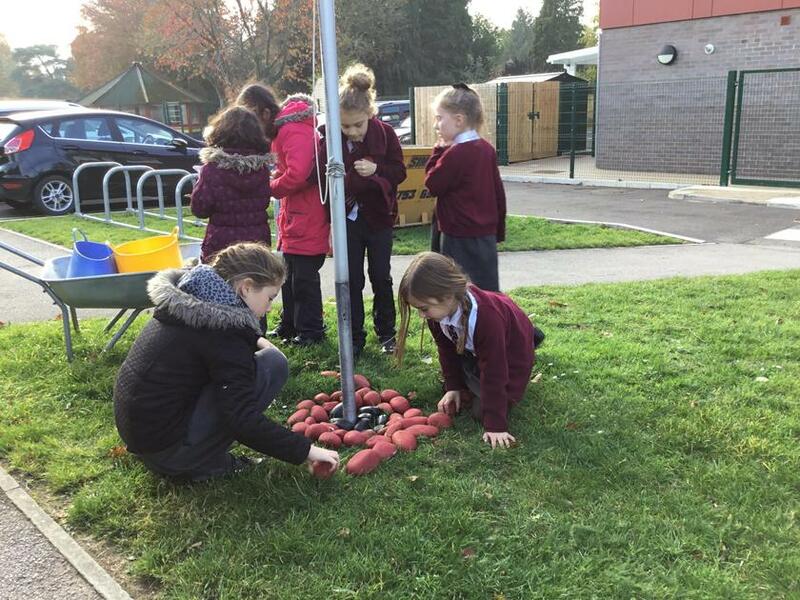 We have laid 100 stones to commemorate the centenary of the end of World War 1 at the front of the school by the flag, Gardening Club have also planted our poppies, made by the children, in the school grounds. 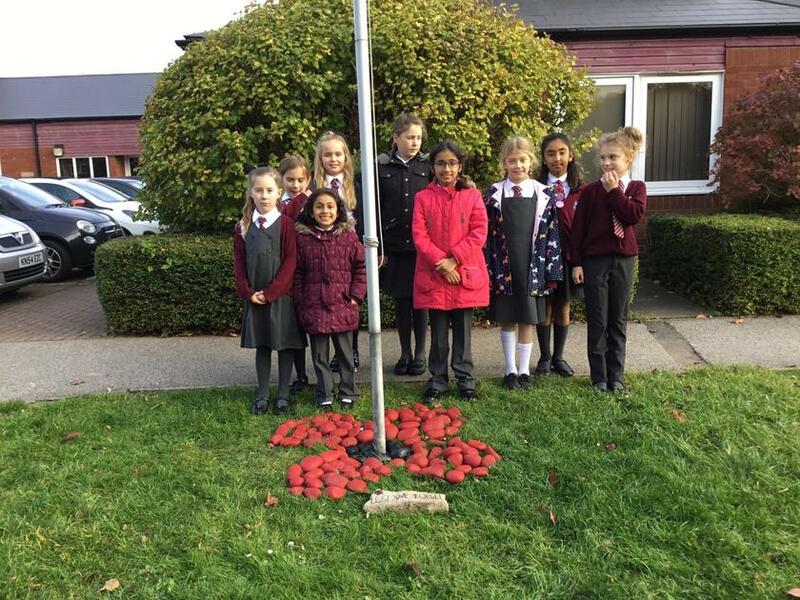 Can you please not allow children to play with either the stones or the poppies as a show of respect to the meaning of their placing. 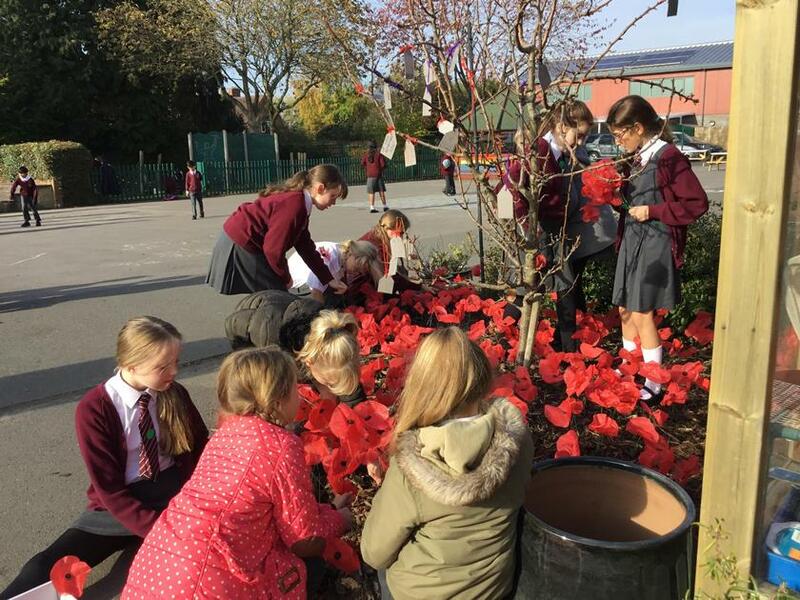 Our Remembrance Service is at 2.45pm Friday 9th November in the main playground, you are very welcome to join the children. A visit from the Police! Excavating chocolate chips from cookies! Autumn LOtC - Fossil making!